“My supervisor… knows how to handle clients and she always has patience with us. I didn’t do very well in one of the weeks and didn’t give very good work on the legal brief... she sent me an email to encourage me to spend more time on my work and her tone was very positive. After that I had even more motivation than before and really spent much more time and efforts than before. This is a summary experience of a student who recently took part in a Clinical Legal Education Programme run by the Hong Kong Refugee Advice Centre Limited (“HKRAC”) in conjunction with the University of Hong Kong and the Chinese University of Hong Kong. HKRAC strives to ensure that all refugees in Hong Kong have access to high-quality legal aid, fair refugee status determination procedures, and human rights in the context of the United Nations Refugee Status Determination process, so that they can begin to rebuild their lives. Two programmes that are currently operated to achieve this vision are the Clinical Legal Education Programme and our pro bono partnership relationship with Hong Kong’s leading international firms. Since its launch in 2007, HKRAC has been committed to investing in Hong Kong’s future generation of human rights lawyers, recognising the potential of engaging young professionals in their early careers. The clinic is operated with the view that part of a lawyer’s role in society must be defined by their obligation to social justice issues but bearing in mind that law students in Hong Kong must balance the desire to serve the public with future career prospects in a highly competitive environment. The pro bono partner programme contributes thousands of pro bono hours to HKRAC, generously donated by lawyers at our partner firms. Pro bono work can provide early opportunities for substantial and meaningful direct interaction with clients for our partner lawyers and increases our ability to provide services to asylum seekers and as such is central to our functionality as an organisation. The fact that several clinic alumni have already been hired by partner firms and remained involved in pro bono work is an early testament to the success and complementarity of these programmes. The 2001 Steering Committee Report on the Review of Legal Education and Training in Hong Kong, also known as the Redmond-Roper Report, identified problems with the quality of legal education in Hong Kong. Chief amongst those was a shortage of law graduates with the legal skills, sensitivity and ethical understanding necessary to address the diverse legal needs of the local community. 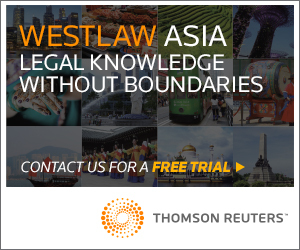 The report found that it was imperative that Hong Kong produce quality lawyers. The consultations disclosed some negative perceptions of newly trained lawyers among employers, government, the judiciary and the two branches of the profession. In particular there was concern that newer lawyers were poor communicators, did not understand the needs and situations of their clients, had a relatively narrow world view and lacked sensitivity to some of the needs of clients whose background is different to their own. These are all core issues that are tackled during the HKRAC Legal Clinical Programme. The report also recommended that Clinical Legal Education (“CLE”) be included in legal education in Hong Kong. Clinical teaching is based on the principle that “much significant learning is acquired through doing” (Carl Rogers, 1969). CLE has been a concept long provided in institutions in the US and is increasingly being focused upon in other common law jurisdictions as a fundamental aspect of a law student’s education. At its broadest it encompasses learning which is experiential in design, focused on enabling students to understand how the law works in action by undertaking real, or realistically simulated, casework. CLE nonetheless still remains something of a contested concept among some academics and practitioners within Hong Kong and it is not yet universally accepted that undergraduate law schools should take some responsibility for instructing in what are considered professional skills. Using the current HKRAC clinic model and looking to international best practice for future guidance there is an opportunity to advance legal education in Hong Kong in a manner that will result in highly trained students who also are engaged in socially active lawyering. Such a clinical experience creates and reinforces pro bono lessons which will transfer into the student’s future professional career. Motivation plays a central role in how open students are to learning new materials and how much effort they are willing to assert. As the quote above highlights, as clinical legal education students become more involved in the practice setting, their knowledge of social justice issues grows and their motivation increases as they are allowed to exercise initiative in respect of their own workload. 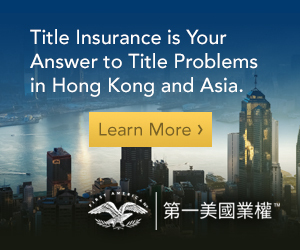 This can only be beneficial to the Hong Kong legal system as a whole. It was in the aftermath of the Redmond-Roper Report that HKRAC set up the Legal Clinical Programme. The clinic hosts up to six students from each University per semester. The Clinic structure provides law students with the opportunity to learn both the theory and practice of international refugee law under the direct supervision of HKRAC’s Staff Attorney (Clinical Programmes). Students are required to attend the HKRAC for approximately three hours of client contact per week throughout the semester. It is the aim of the clinic to give all students the opportunity to learn independently, yet within a supported and supportive environment. It is also recognised that there are many different learning styles, and many different personalities. Thus, the programme offers a variety of learning experiences which are individually structured. There are no lectures, only interactive seminar-style training classes. At the clinic students first attend a front loaded training weekend with pro bono lawyers, volunteers and students allowing them to gain specialist instruction. The training weekend is approved for Continuing Professional Development credit and consistently receives overwhelmingly positive reviews from pro bono lawyers and students alike. Then they undertake skills training classes, which allow the benefit of small group learning. Finally they attend weekly clinic appointments and casework assignments which includes close supervision and client contact. This allows for individualized learning and practical and applied legal training, which is a unique alternative to lecture based classes. The work that we do with students provides them with transferable skills, instills a pro bono ethic in their work and gives them the access and the opportunity to interact and interview some of Hong Kong’s most vulnerable clients. HKRAC has designed the most comprehensive training structure for students engaging in a clinical programme in the jurisdiction. Students receive practical legal skills training by assisting HKRAC lawyers throughout the refugee status determination process. In this way, the students provide additional access to justice to the public by assisting indigent members of society. Given that the clinic follows the basic structure of training, moving on to skills classes, then observation of clients and finally moving on to the students performing, students are allowed more responsibility as they progress in the curriculum. Through feedback received from students, HKRAC has found that the clinic has been an overwhelmingly positive and beneficial experience for students and the programme is continuously engaged with international best practice initiatives in that regard. In the most recent survey of students exiting the clinical programme 78% felt that their ability to write a detailed piece of legal work (intake report, case summary, assessment of the claim, country of origin information or legal research memorandum, client testimony, and/or legal brief) was either quite or vastly improved and 100% felt that their research and evidence gathering skills related to the legal and factual issues of a claim had either quite or vastly improved. “In general, the method of teaching is insightful, participatory and student centred which acts as a motivator to share knowledge, ideas, views and skills. Student involvement is multi-faceted ranging from questions and answers sessions, presentations, debates, intensive discussion on a wide range of issues to critical analysis, preparing case comments, and research papers. Students are expected to write regular reflection pieces, which consider the skills they have learned, the issues they have faced and their observations and provide an analysis of the strengths and weaknesses of the course and of their own experience. The CLE work HKRAC has undertaken with the two leading law faculties in Hong Kong has furthered a number of goals set out in the Redmond-Roper report and has been a leader in addressing unmet legal needs of one of the most vulnerable populations in Hong Kong. The Redmond-Roper stated that Hong Kong is “a society, not merely an economy” and the importance of the work that students are undertaking with asylum seekers should not be underestimated. In addition in the Clinic, students develop their legal knowledge, legal skills and professional judgment in a real practice setting thus preparing them for practice in any area of law. 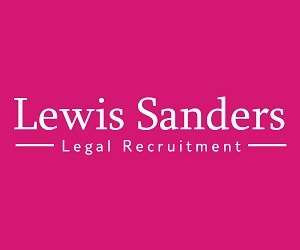 This focus on the necessity for skilled graduates has been highlighted by leading law firms whom have observed that “We firmly believe that the closer to real practice and the more realistic training is the more effective it will be” (Firth, S, Linklaters Trainee Partner Legal Week Spring 2004). The aim is to encourage students to provide legal service to the community as they develop their skills as a lawyer; to reflect on the nature of the lawyer’s relationship with a client including issues of power and trust; and to evaluate ethical conduct in a practical context. Students involved in the Clinic are exposed to ethical dilemmas and choices. As such, this Clinic environment provides a rich opportunity for a deep learning experience about the nature and extent of a legal practitioner’s professional and ethical responsibilities. Students have the opportunity to recognize challenges, creatively identify options, execute their own judgment, and understand the impacts of their decisions. HKRAC aims to develop specific capabilities in all the students who take the clinic which are almost all transferrable to any legal practice setting. The gradual movement into real professional experience assists the student to adjust to the realities of professional work. Students will develop a heightened understanding of the role of lawyers and law in society and be able to reflect on what role they may wish to occupy in the future. Importantly the student’s ability to communicate effectively in a cross cultural environment will be developed. The work produced by students in a clinical programme leads to more effective study, improved retention, and improved ability to build on what has been learned (Mahard, 2007). The clinical methodology as the means for the study and development of lawyering skills makes a distinctive contribution to legal education in Hong Kong. The HKRAC Clinic has furthered many of the goals of the Redmond-Roper report, has addressed the unmet legal needs of refugees in Hong Kong and it is argued has greatly enhanced the skills of law students graduating from the programme. Generally transferable skills and competencies are essential to legal education and CLE provides a unique way of learning the skills of analysis and reasoning, research and communication (both written and oral), and the general ability to apply knowledge to the solution of problem and ethical integrity and independence of mind. 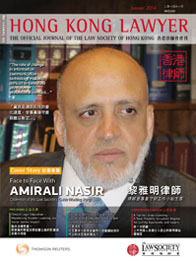 The Redmond-Roper report found that legal education needs to respond to the “challenges of legal practice and the needs of Hong Kong society in the 21st century” and it is argued that CLE in general and the HKRAC Clinic in particular are at the forefront of such law reform as they prepare students for the practice of law through instilling skills and ethics necessary in modern legal practice in Hong Kong.